When asked about reported rift between Tej Pratap and her younger son Tejaswi Yadav, Rabri said there was no truth in it and was a creation of vested interests. 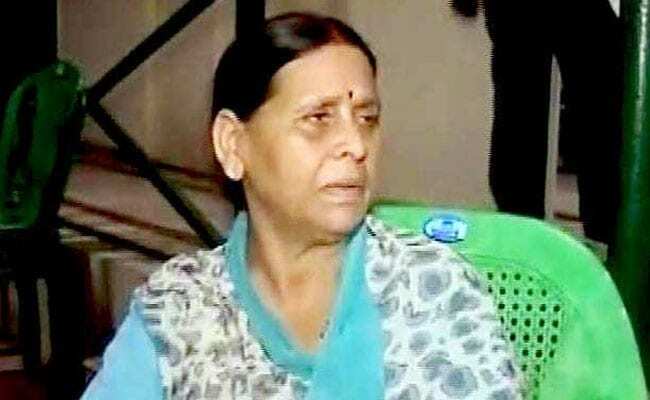 Rabri Devi said she also missed her jailed husband. It's been five months since Bihar politicians Lalu Yadav and Rabri Devi's elder son Tej Pratap moved out of the family home over his divorce. The mercurial Rashtriya Janata Dal (RJD) leader has met his parents on some occasions, but has not returned home in Patna. Today, in an emotional message, his mother asked him to return for good. As Lalu Yadav was jailed in corruption cases, his younger son Tejashwi Yadav took over the party and is regarded as the politically heir. Though Tej Pratap has not made any adverse comment in public against his younger brother, his discontent came to the fore recently when he threatened to form a separate front. Tej Pratap Yadav, who quit a party post, wanted his aides to be fielded by the RJD in two seats, Jehanabad and Sheohar. If not, he reportedly warned his party, he would field his candidates anyway under a new front named after his parents. The party didn't heed to his antics, announcing candidates for both the Lok Sabha seats. Tej Pratap had married RJD leader Chandrika Rai's daughter in May last year. Within months, he announced his divorce, saying there was no compatibility between them. The families tried to broker peace, but he insisted on separating. He had moved out, upset with his parents for not supporting him.